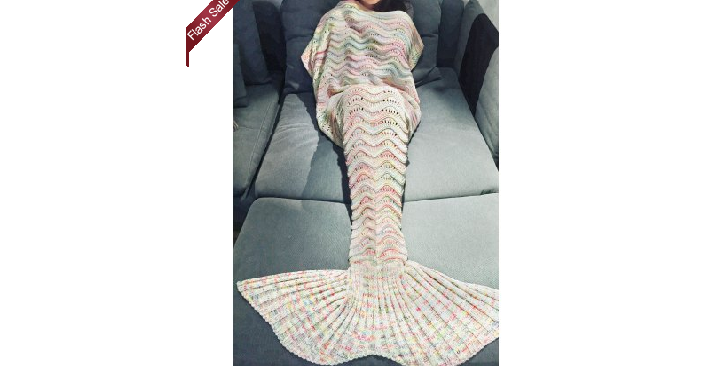 Adult Multicolor Knitted Mermaid Tail Design Blanket Only $14.99 Shipped! Are you still looking for the super popular Mermaid Tail Blankets? Right now at GearBest you can grab the Adult Multicolor Knitted Mermaid Tail Design Blanket for only $14.99 shipped! It looks like there is a limited number, so you’ll want to move quickly.